When I started this blog, one of my main goals was finally getting around to seeing movies nearly everyone has watched. My first marathon covered 1980s comedies, and I followed that one up with cult films. Both of these included well-known films that might inspire a "you haven't seen that?" response from family and friends. This month, I'm taking that premise a step further and specifically picking choices that I'm embarrassed to have missed so far. To clarify, this List of Shame won't include the types of films that show up in Sight and Sound's greatest of all time. That group will appear in the next marathon. Instead, these are mainstream favorites that are liked by mass audiences (and some critics). In some cases, I've caught specific scenes in the past but haven't watched the entire film. My first choice is Stand by Me, Rob Reiner's 1986 adaptation of the Stephen King short story "The Body". Let's head down the train tracks and get to the questions! When four buddies learn the possible location of a dead body, they take a coming-of-age journey to find it. 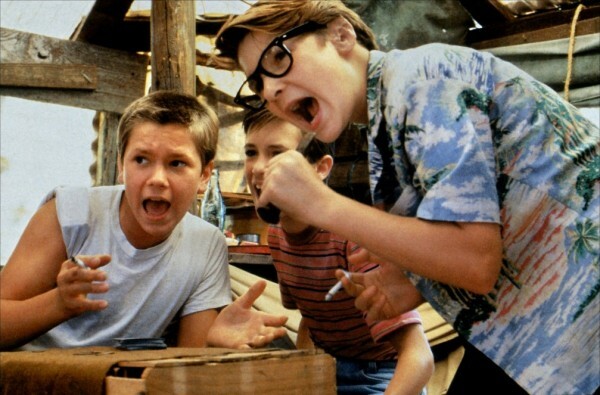 Gordie (Wil Wheaton), Chris (River Phoenix), Teddy (Corey Feldman) and Vern (Jerry O'Connell) are 12-year-olds in the late '50s who hope to get famous by finding the body. Viewed in flashback from the perspective of an adult writer (Richard Dreyfuss), the trip involves dangerous encounters with a train, leeches, and local bullies. Each boy faces his own issues, and they grow closer because of the experience. I'm a fan of Stephen King and have enjoyed many of the film and TV adaptations of his work. It's not clear why, but this story didn't interest me beforehand. It could have to do with the "coming of age" genre, which can inspire generic themes about the past. I was 10 years old when Stand by Me arrived in theaters, and I was near the right age for the material. Finally catching up with this story 25 years later, I'm actually fairly close to the writer's age now, who's in his late '30s. Regardless, it's easy to enjoy Rob Reiner's approach because it doesn't get overly sentimental. Even when the characters break down and open up about their feelings, he avoids cranking up the score and going for the obvious emotions. Since it's a period piece, this story holds up well and isn't clearly released during the 1980s. One reason is some vulgar language, which is not what you'd expect from a movie set more than 50 years ago. The boys speak a lot more realistically than you might even see in today's releases, with the work of Judd Apatow's troupe being an exception. The Oscar-nominated screenplay from Raymond Gideon and Bruce A. Evans shows a clear understanding of how adolescent boys interact and talk. Even the more confident boys like Chris struggle to clearly state their feelings. Another positive is the outdoor locations, which feel timeless and lack an overly specific '50s look. This story could happen in different eras and would just take a few minor changes to work in a new time period. Casting 12-year-olds isn't easy, especially when the chemistry between the friends is so crucial. Reiner's biggest achievement is choosing the four leads, who have believable relationships from the start. Wil Wheaton's thin frame and well-spoken intelligence are perfect for Gordie, the group's creative mind. Corey Feldman brings the right manner of craziness to the troubled Terry, and Jerry O'Connell's wide-eyed approach to Vern hits the proper notes. Although he's known as the "fat kid", it's interesting to note that Vern isn't really that far overweight by today's standards. 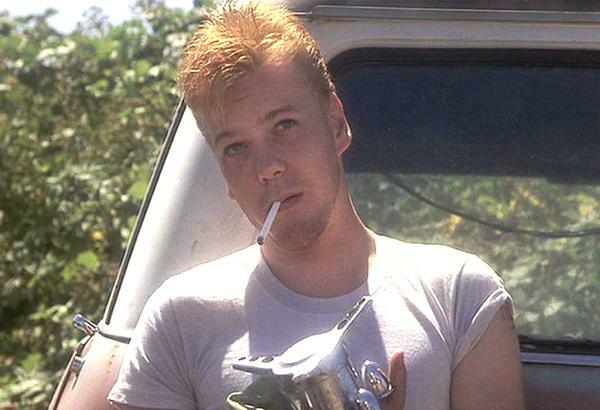 These kids do well, but the true finds in this cast are River Phoenix and Kiefer Sutherland. This performance reminds me again of Phoenix's serious talent that was cut short way too soon. He brings a casual grace on screen that can't be faked. As the nasty bully Ace Merrill, Sutherland is chilling without saying a word and reveals the intense stare that would help him years later as Jack Bauer on 24. 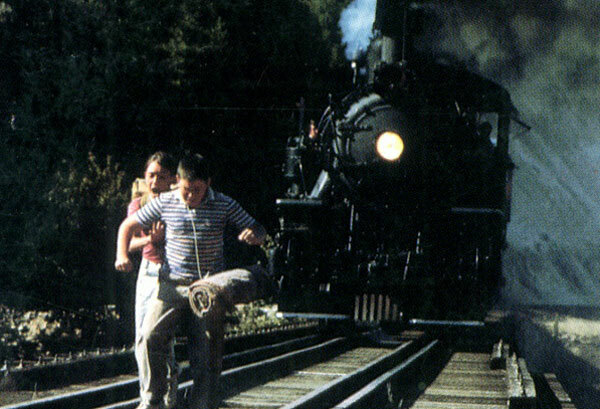 Stand by Me's narrative is fairly episodic, which keeps the pace relaxed while the boys move closer to the dead body. There are a series of classic moments that stand apart from the main plot. The most prominent example is their daring attempt to cross a long bridge while hoping that a train doesn't arrive. Predictably, the fast-moving locomotive arrives at the worst possible time, which brings serious jeopardy. Another scary moment involves a comic scene in a mud puddle that quickly turns nasty when leeches appear. It's grisly but is a bonding moment that the boys won't forget. Another less tense sequence is the guys bonding over trivial issues around the bonfire. Pondering what type of animal Goofy is seems like the perfect camp-out conversation for these buddies. 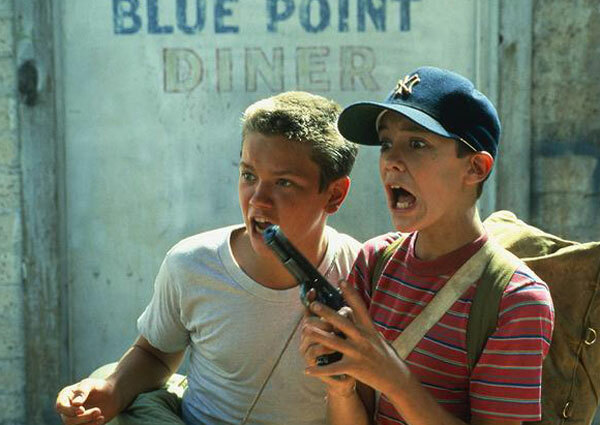 Stand by Me isn't a film that I'll be revisiting frequently in upcoming years, but I'm still glad to have seen it. It's a well-made story with likable characters that go on an interesting journey. I can't ask for much more than that. While it provides the moment-in-time quality of the best period pieces, it also shows us a strong group of young actors poised for stardom. It's clear that the four boys got along well on the set; you can't fake that kind of chemistry. If this movie is any indication, this is going to be a fun marathon. Next week, I'll stay in the '50s and take a ride with George Lucas in American Graffiti. Thanks, Castor. I agree that it's definitely a nostalgia film that could work for either kids or adults, for different reasons. I enjoyed it as an interesting story and for its nostalgia factor. Completely agree with Castor, Stand by Me was one of my favorite movies as a kid, which is pretty much the only reason I still appreciate it. Can't wait to read more from this series! Thanks Alex! I'm looking forward to checking out more of these well-known films in the next few weeks. I liked Stand by Me and probably would have enjoyed it even more if I'd seen it as a kid. I saw this when it came to video in the late 80s. I didn't see what all the fuss was about. I didn't think it was a bad movie, but I didn't think it was that great, either. I concluded that the critics at the time who were hailing it were very likely to have been the same age as these kids in the time period the movie is set and that they loved the trip down memory lane (see also: Super 8). Chip, it's possible that's true about some of the critics. 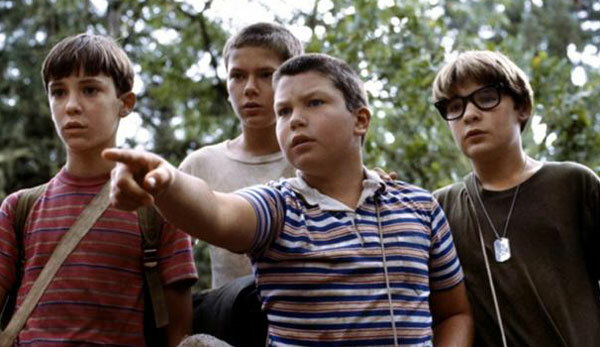 I grew up in the '80s, so I didn't grab on to that part of it, but I still thought Stand by Me was well-done. Super 8 is interesting because I did feel a lot of nostalgia watching it, but I also thought it was a good story. The kids are all great, and that's not just due to nostalgia. Thanks!